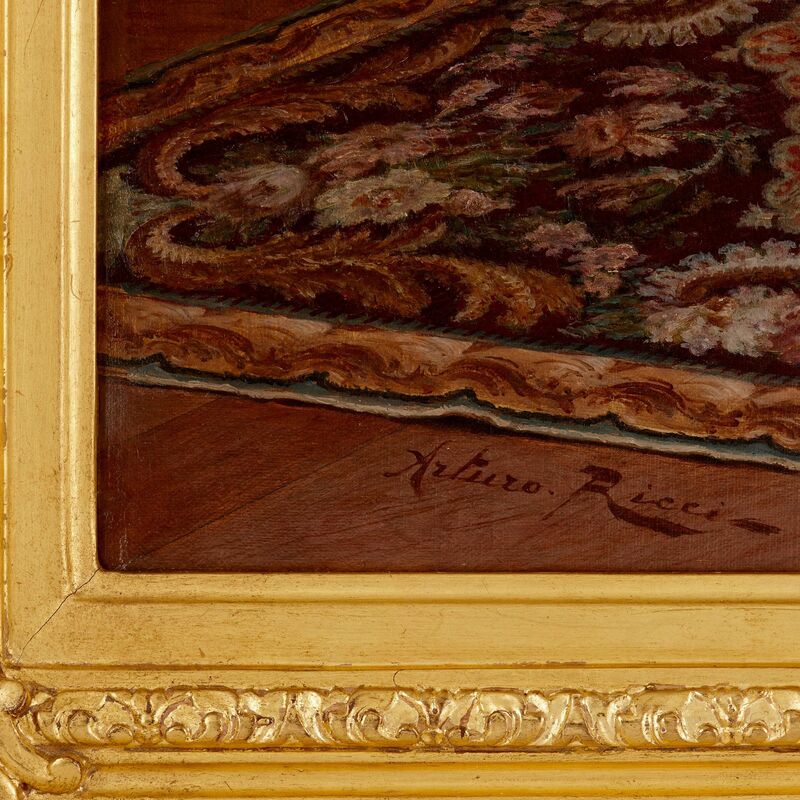 This 19th Century painting exudes refined elegance and graceful charm, and is notable for the exceptional quality of detailing for which Ricci is renowned. 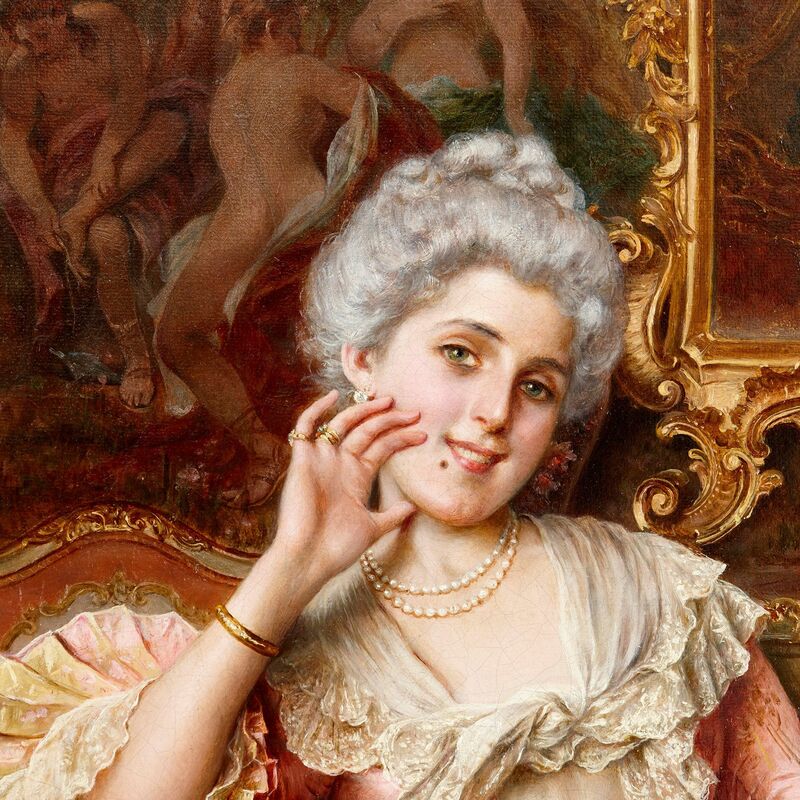 Arturo Ricci (Italian, 1854-1919) was well-known and celebrated for his genre paintings of costumed subjects, and this painting is one of his very finest examples. 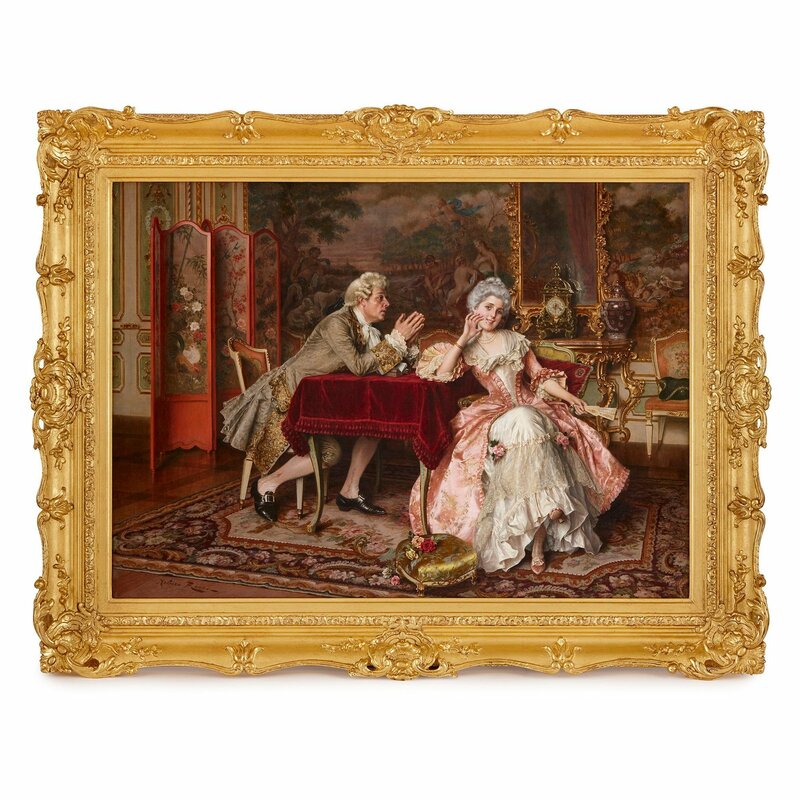 It depicts a lavish interior scene with a couple seated at a table set with a rich, red tablecloth. 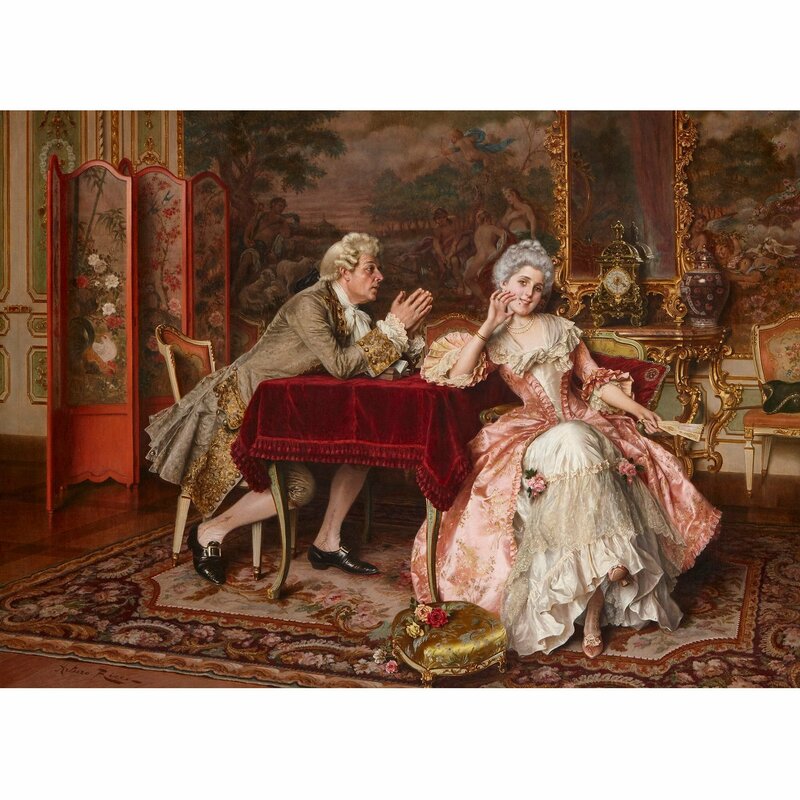 The man, with powdered wig and intricate dress coat, leans toward the woman with his hands pressed together as though in prayer, as the woman turns her shoulder to him, resting her elbow on the table as she looks out of the painting toward the viewer. 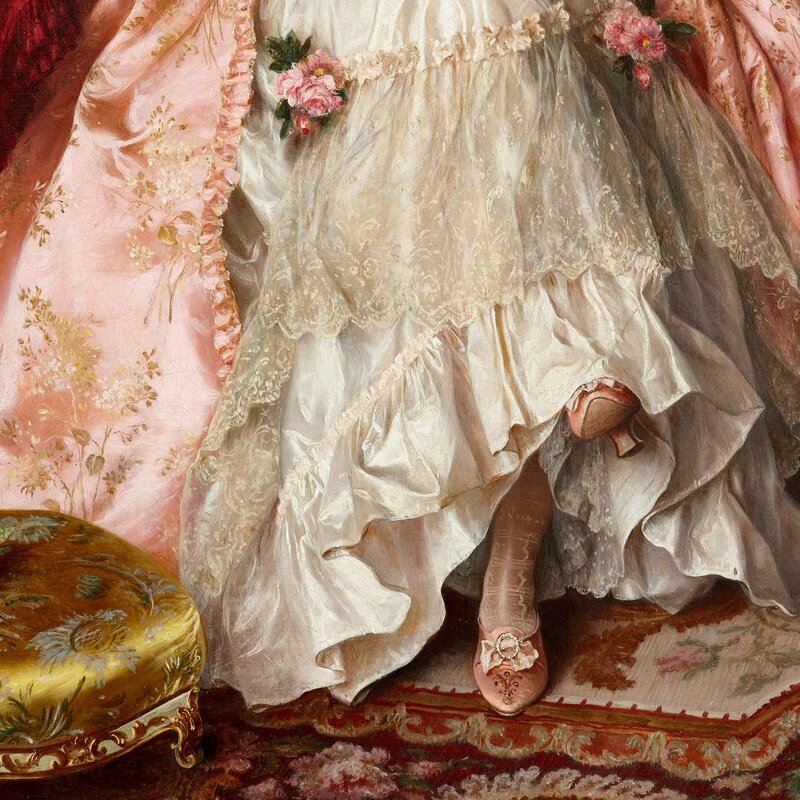 In her pink, laced dress and powdered wig she is the epitome of coy restraint, appearing to playfully resist the advances and pleas - 'the proposition' - of her male companion, drawing out his apparent persuasive suffering. The room in which the couple are seated is hung with tapestries and features intricately adorned furniture. A painted wooden screen is visible to the left of the composition, and a Baroque mirror above a console table laden with a Chinoiserie vase and mantel clock can be seen just behind the lady. 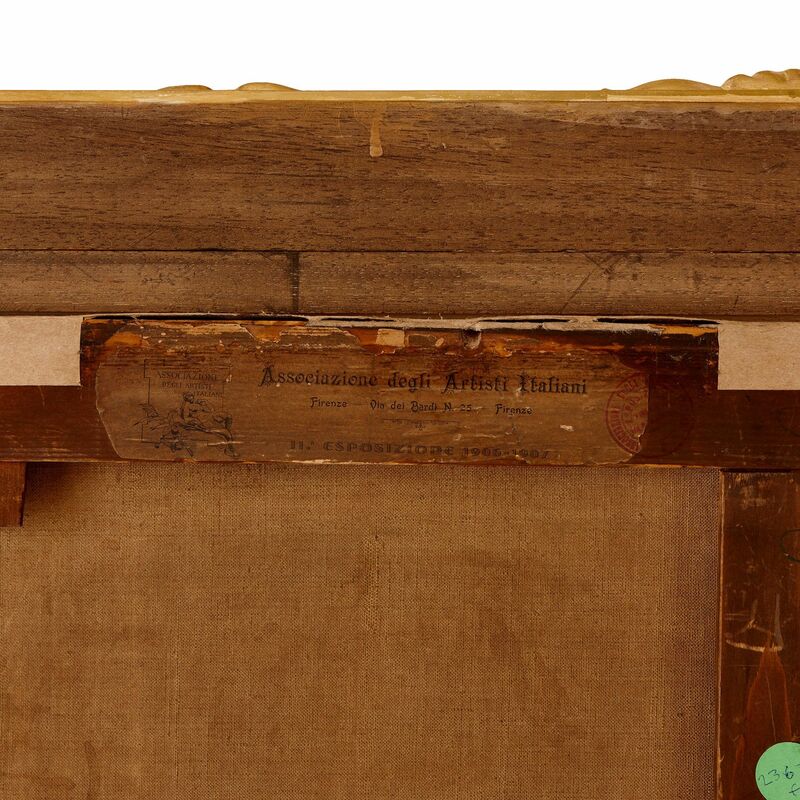 The painting is housed in a carved giltwood frame, and is signed to the lower left 'Arturo Ricci'.